Robert L. Kennell, 87, of rural Roanoke, IL passed away at 3:30 am on Thursday, March 28, 2019 at Apostolic Christian Home in Roanoke. He was born on December 12, 1931 in rural Roanoke to Joseph D. and Frieda V. (Ulrich) Kennell. He married Evelyn M. Zoss on June 24, 1954. She passed away on November 2, 2018. Surviving are one daughter Joyce (Roger) Ulrich of Metamora; three sons Ron (Arlene) Kennell of Roanoke, Keith (Kelly) Kennell of Lowpoint, and Darryl (Rhoda) Kennell of Roanoke; twelve grandchildren; fifteen great-grandchildren with one more soon to be born; one sister Verda (the late Evert Birkey) of Roanoke; and one brother-in-law Richard (the late Nellie) Zoss of Washburn. He was preceded in death by his parents, three sisters, one brother, one granddaughter, and one daughter-in-law. Robert was a farmer all his life. He had a passion for farming and was involved in farm related businesses, such as fertilizer, farm tiling, earth moving, and custom farming. He was a John Deere fan. He was gifted with an engineering ability and working with his hands. He had a love for all his grandchildren and his church. Funeral Services will be held at 10:00 am on Monday, April 1, 2019 at Linn Mennonite Church in rural Roanoke with church pastors officiating. Visitation will be held from 4:00 pm until 8:00 pm on Sunday, March 31, 2019 at Mason Funeral Home Metamora Chapel and also one hour prior to his services at the church on Monday. Burial will be in Roanoke Mennonite Cemetery near Roanoke. In lieu of flowers memorials may be given to Linn Mennonite Church, 1594 County Road 1700 N, Roanoke, IL 61561 or Roanoke Apostolic Christian Home, 1102 West Randolph, Roanoke, IL 61561. 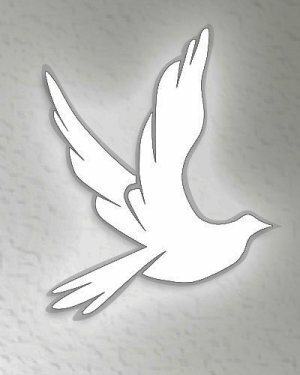 Online condolences at www.masonfuneralhomes.com.